OrangeHRM is a complete Human Resource Management System, it successfully fulfills the human resource needs of small to medium scale organizations. It runs on Linux and Microsoft Windows operating systems. Originally started in 2005, the very first version of the application was launched in 2006. It has been under consistent development and bug fixes and has evolved into one of the best systems of this nature. It manages employee’s attendance, performance, recruitment and annual appraisals. It has achieved many mile stones and won awards due to its ease of use and abundance of features. It comes in both professional and open source editions. Let’s see how we can install this web application on Ubuntu operating system. Launch your system terminal and run following command to install LAMP-Stack. Lamp stack comes bundled with these three components. During the installation process, it will launch a pop up to specify mysql root password. 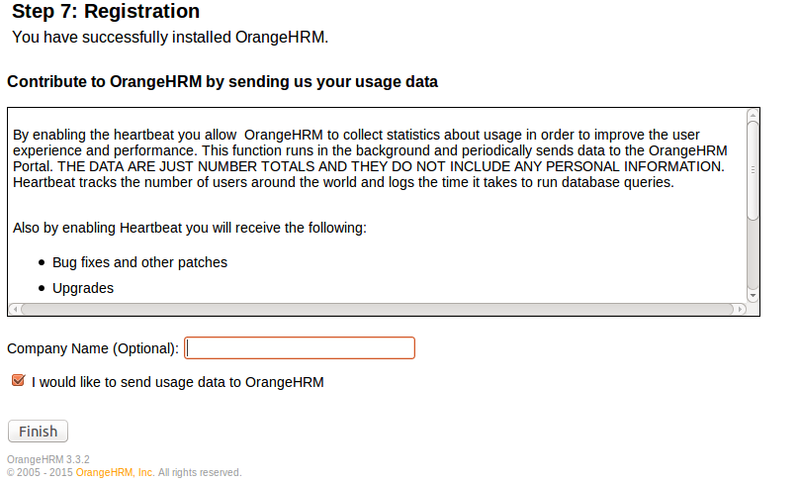 Note down the password you set here as it will be used later when installing OrangeHRM. As soon as the installation of Lamp-Stack is complete, run following command to start Apache web server. Important note: By default Apache document root is /var/www/html. 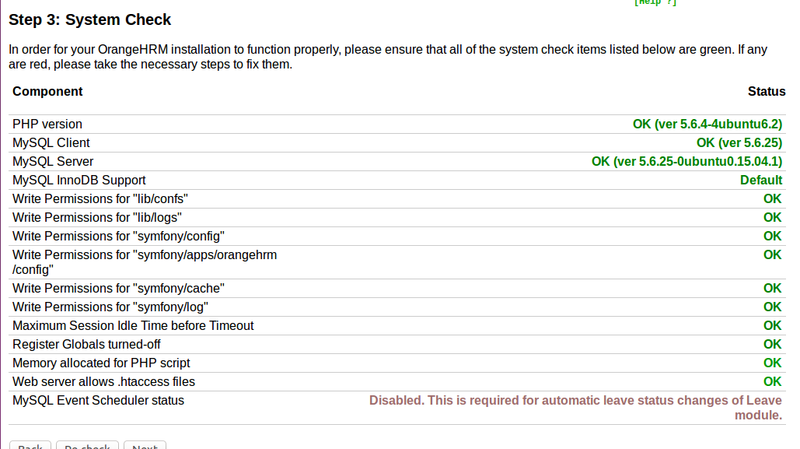 Your web scripts should be uploaded to this directory so that Apache may server them successfully. 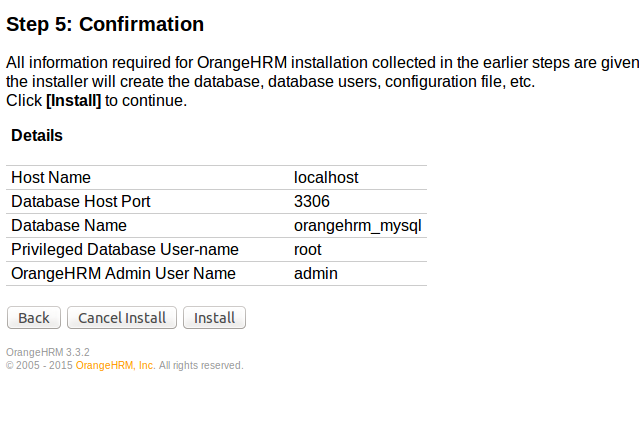 Let’s get started on OrangeHRM installation now. Download it for Linux operating system from following URL. Once the download process is complete, go to the download location via your terminal and here run following command to move the downloaded file to Apache document root. Here run following command to extract the downloaded file. The rest of the installation process is web based, launch your system browser and load http://localhost/orangehrm , here is the very first page your should be seeing. Click “Next” from here to proceed further with the installation wizard. 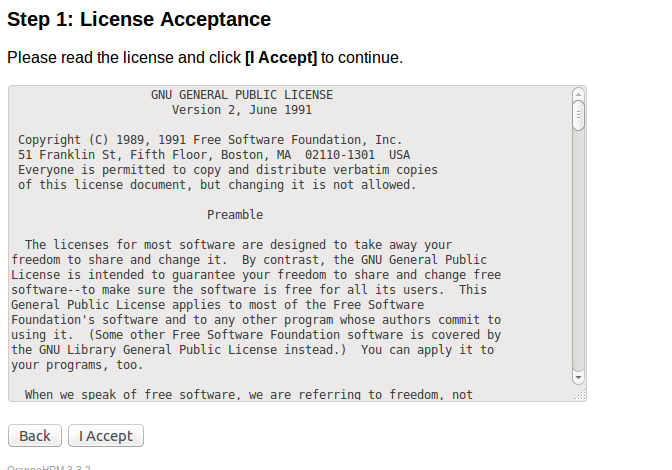 Accept the License Agreement on the next step. 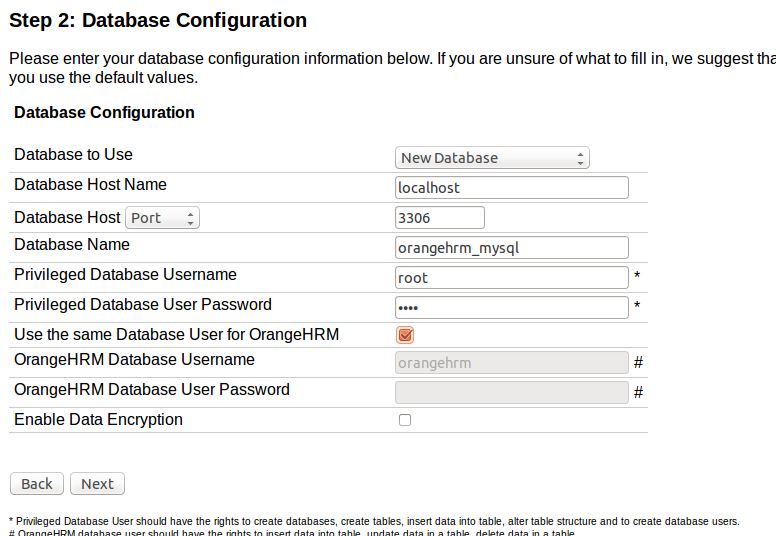 On the “Database Configuration” step, specify the name you want to give to your OrangeHRM db, and your mysql root login details and click “Next”. 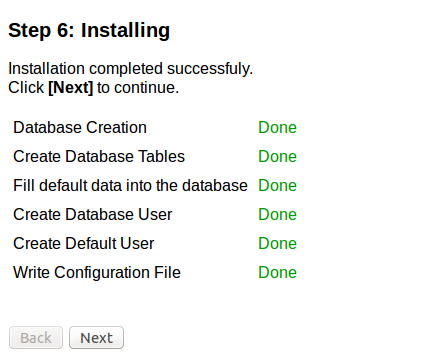 If database does not exist, installer will create it for you. We are on the “System Check” stage now, installer will make sure that all required settings are correct before proceeding further, once everything is reporting green, click “Next”. Provide your administrator username and password here. Review the installation summary and click “Install” button to initiate the actual install process. 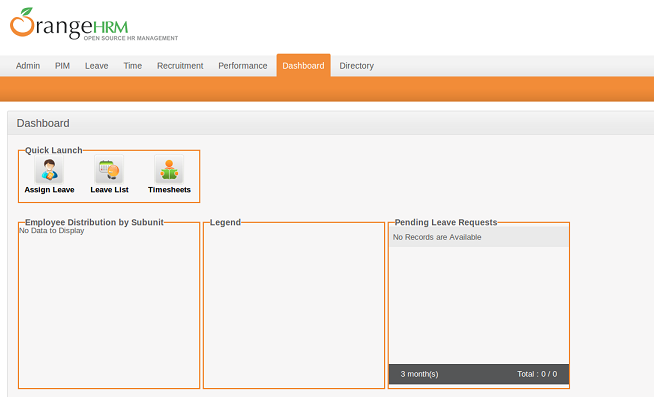 Congratulations, OrangeHRM has been installed successfully now, click “Next” to go to the final step. Its optional to provide your company name here, just hit “Finish” once done. There you go, login with the username and password your created earlier in the installation process. Enjoy using this world class Human Resource Management System. OrangeHRM is a widely popular, extremely user friendly and feature rich web application. It is an enterprise ready web project, if you are willing to run it in production environment, we will recommend installing it on some reliable VPS environment. LinuxPitstop recommends HostGator VPS Services . 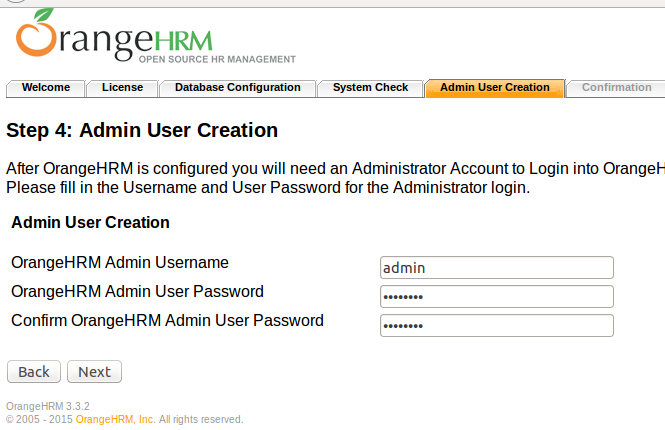 Great tutorial on how to install OrangeHRM on a server with Ubuntu installed on it.